Sebastian Beckwith and friends started In Pursuit of Tea in 1999 to explore small farms in Asia and source the finest teas available. Twenty years later, we continue to visit these historic tea-growing regions to taste the season’s harvest and bring back the best. Our looseleaf teas are crafted with great care, most of them still picked and processed by hand, and draw on centuries of tradition. We don't blend lots or add flavorings; we believe that within its leaves, each true tea contains the promise of a new journey, full of wonder and peace. In Pursuit of Tea supplies home tea drinkers with a wide range of selections—from delicate white teas and first flush Darjeelings to rich, complex oolongs and pu-erhs—as well as many restaurants, bars, and cafes as part of our mission to elevate the quality and service of tea in the fine dining and hospitality industry. (Read more about our wholesale program.) By sourcing directly, we’re able to share these exquisite teas with minimal markup. We buy straight from tea farmers not only to support traditional agriculture, but because their teas taste better. Large estate teas are often blends of machine-harvested and -processed leaves with a wide range of grades—and in the cup, tea will taste only as good as its weakest component. When modern technology is introduced to tea-making, it generally serves to increase efficiency at the expense of flavor. Small-farm teas, on the other hand, are meticulously tended, with leaves carefully harvested and then processed with great care and pride. Utilizing centuries-old techniques passed down by their ancestors, the producers are devoted to the quality of their product. In many areas of Asia, tea makers are facing intense economic pressures. It's a rapidly shifting industry, as younger generations depart for alternative employment in urban centers, and farmers are left with increased effort and expense for processing. Combined with the trend of higher yields and ever-lowering prices for tea on commercial farms, business can quickly become unsustainable. At times, farmers may even have to leave tea to wilt on the bush when there's not enough people to pick the leaves. When you purchase tea from us, you are helping to directly support threatened tea farming traditions, and to provide a fair price for an artisanal agricultural product. In the late 1980s, when Sebastian Beckwith was a trekking guide in Bhutan and northern India, he first fell in love with tea. Since founding the company, he has returned to Asia several times each year, tasting and selecting leaves that are served at some of the finest restaurants in the country, including New York City's Eleven Madison Park, Daniel and Gramercy Tavern. He has lectured at Columbia University with integrative health expert Dr. Andrew Weil, and has led educational seminars on tea at The French Culinary Institute, the Institute of Culinary Education, and The American Museum of Natural History. In 2018, he published A Little Tea Book, a pocket guide to the wide world of tea. Tea was always around the home where Ana Dane was raised; a gift of sencha in the late 1990s led her to start exploring the intricacies of looseleaf, cup by cup. A partner at the company, she has traveled to traditional regions of production in India, China and Taiwan, and believes the most intoxicating scent in the world is freshly picked Camellia sinensis leaves, slowly oxidizing in the air. 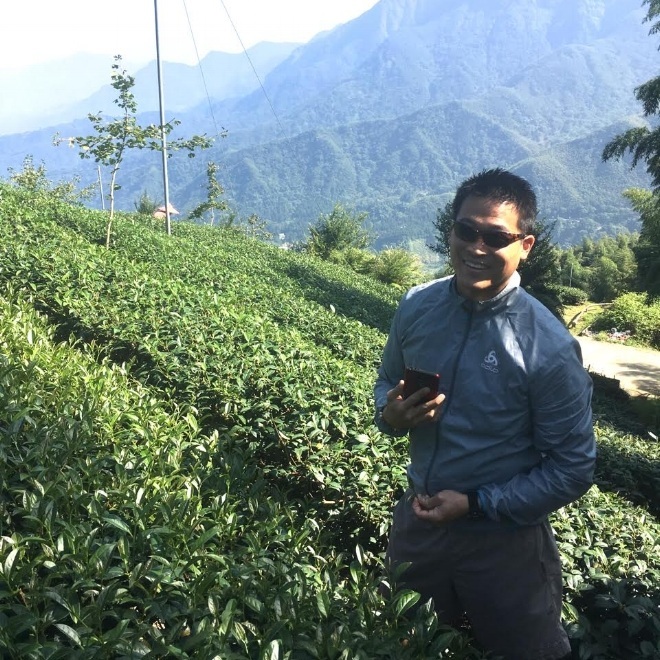 Gilbert Tsang became a partner at In Pursuit of Tea in 2011, and keeps our operations and countless details in immaculate order. We'd be lost without him. The intricate culture and history of tea were what drew Anna Ye, with a background in fine dining, to join the IPOT team. She is proud to be a part of a company that stands for tradition, craftsmanship, and community. 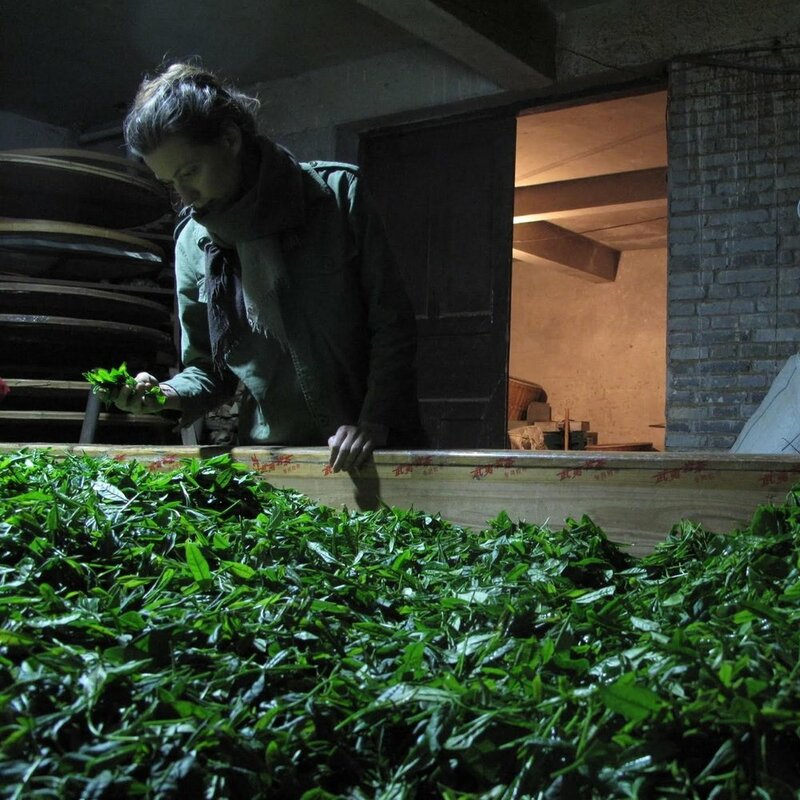 To deepen her understanding of this ancient beverage first-hand, she is excited to continue exploration in tea-growing regions in China and Taiwan. Flavor has always been a big part of life for Rachel Gould. The versatility and complexity of tea sparked a fond curiosity early on, and her background in hospitality allows her to create insightful connections with our wide range of customers.